The term provenance evolved from the French word ‘provenir’ which means ‘to come from’. In the world of art collecting, provenance is documentary evidence of a work of art’s origin, history and ownership. It can be used to substantiate the work’s integrity. This is invaluable to the serious art collector as a form of protection against stolen goods, forgeries, fakes and reproductions. Signed certificates of authenticity from a recognised authority. A documented sales list of previous owners. A documented history assists art collectors make informed judgements about art. It often highlights gaps in ownership which may indicate problems or contentious issues. The best examples highlighted by provenance are the controversies of stolen Jewish art. Consider a piece of art which carries perfect provenance except for a gap during the years of 1933-1945. This suggests that the item may have been one of many works of art that were confiscated by the Nazis from Jewish ownership during the rise of fascism and the ensuing World War II. The ongoing policy of restitution in these situations is disastrous and distressing for an art collector with such an item in their collection. In effect, their precious investment is rendered stolen goods with a very dark history. Gaps in provenance don’t always have ominous explanations, though; there may be a perfectly innocent explanation. Provenance also provides invaluable context to art. It gives it a place in history, society and the economy of its day. The provenance of art relates to changes in taste, fashion, culture and philosophy. Sadly, it is very rare for a work of art to be accompanied by a full and uninterrupted provenance. Documents are lost by subsequent owners or destroyed by various accidental and environmental factors. Another problem is the issue of fake provenance. Provenance is a valuable commodity and open to abuse. Unscrupulous dealers can add extra value to art by forging missing documents and catalogues. It is often difficult to verify provenance and for that reason it’s wise to consult art advisers or authentication experts if there are any doubts. If there are any serious doubts about a painting’s provenance, there are several courses of action available. The easiest way to check authenticity is by consulting auction house registers or dealer records. If this fails to provide any answers, there are several comprehensive databases that document thefts. The most comprehensive databases include the Art Loss Register or the Getty Provenance Index. The full provenance of the art can be investigated by art authentication consultants. This can be a labour intensive and complicated process. Fees are charged accordingly. A catalogue raisonne is an excellent way to provide provenance for art. A catalogue raisonne is a book or monograph that depicts and registers the complete works of an artist. It provides a history of their career and describes in detail each piece’s provenance, dimensions, condition and features. If there is any doubt regarding an item’s provenance, the catalogue raisonne will provide guidance to indicate whether fears are justified or not. 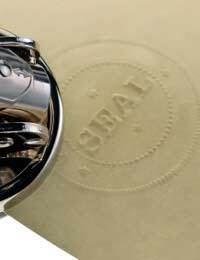 A full and complete provenance is a rare thing; however, if you are lucky enough to have it, its value cannot be understated. It brings the collector peace of mind, adds value to their collection and a slice of real life history.